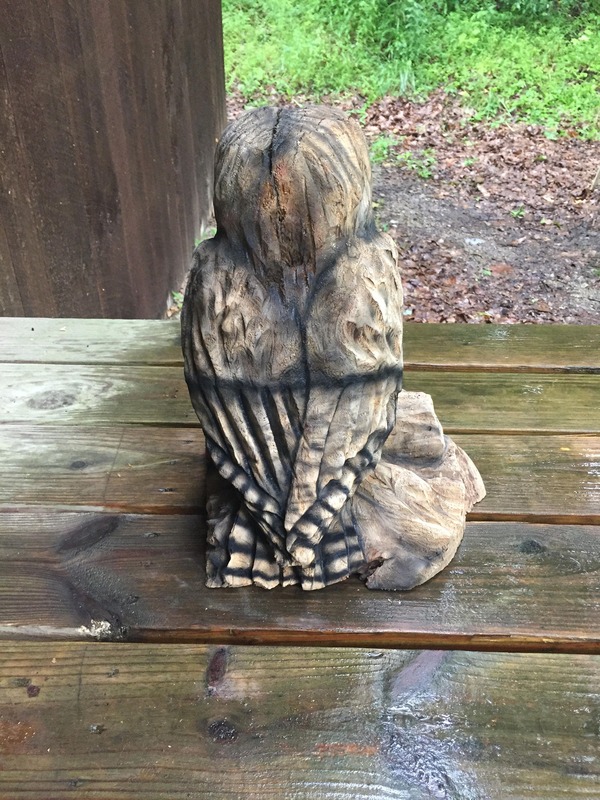 This is a chainsaw carving of an owl. 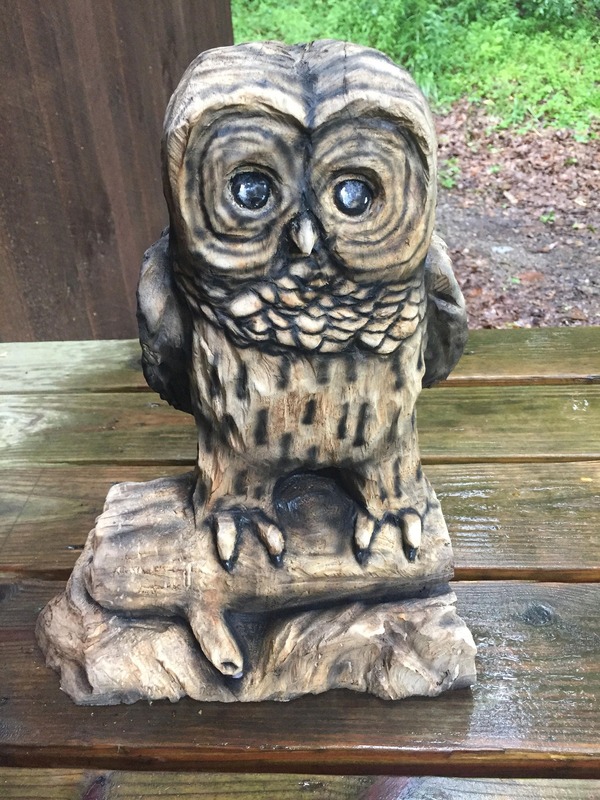 This sculpture is made in a single piece of driftwood and makes a perfect wood gift. It will be great for an anniversary or birthday. 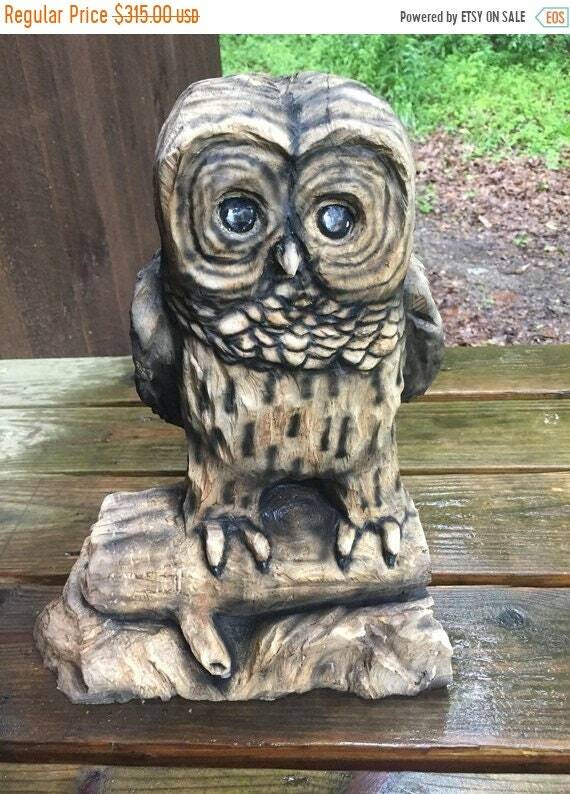 This cute hooter is sure to be awesome in any home including a log home. This is a chainsaw carving in a piece of Box Elder driftwood. It weighs 8 1/2 pounds and measures 15" tall, 12" wide and 9" deep. I began this carving in a large chunk of driftwood. I began shaping it using a few different chainsaws. Once I completed the chainsaw work, I used a torch and flap sander to smooth the surface of the carving. Then, I finished the detailing using a Dremel tool with a couple different bits. I added a bit of color using an airbrush. 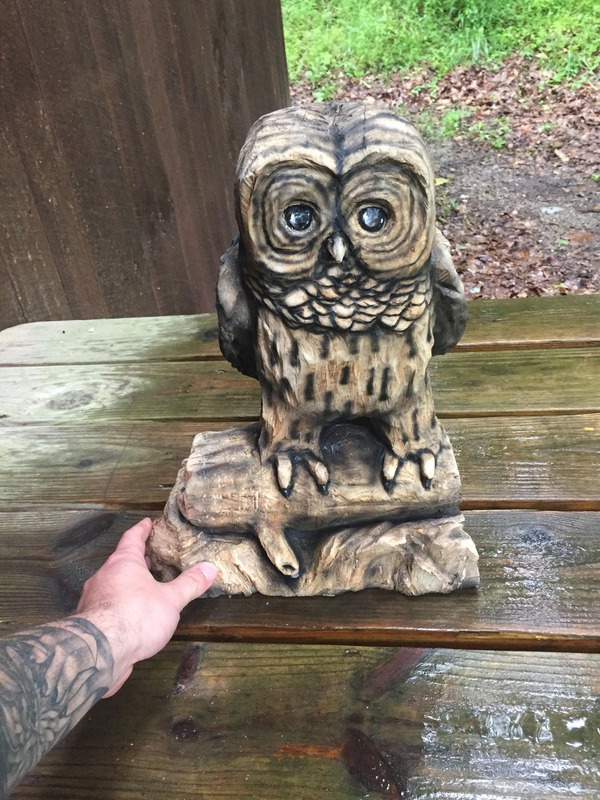 This carving is spray sealed with 2 coats of urethane. It is sealed to be indoors. This carving will last forever. The wood is dry and bug free. This is something that can be passed down through the generations. Please feel free to contact me here, carpcuts [!at] live.com or call 740-979-5511. Be sure to check out my entire shop. I have a little something for everyone. 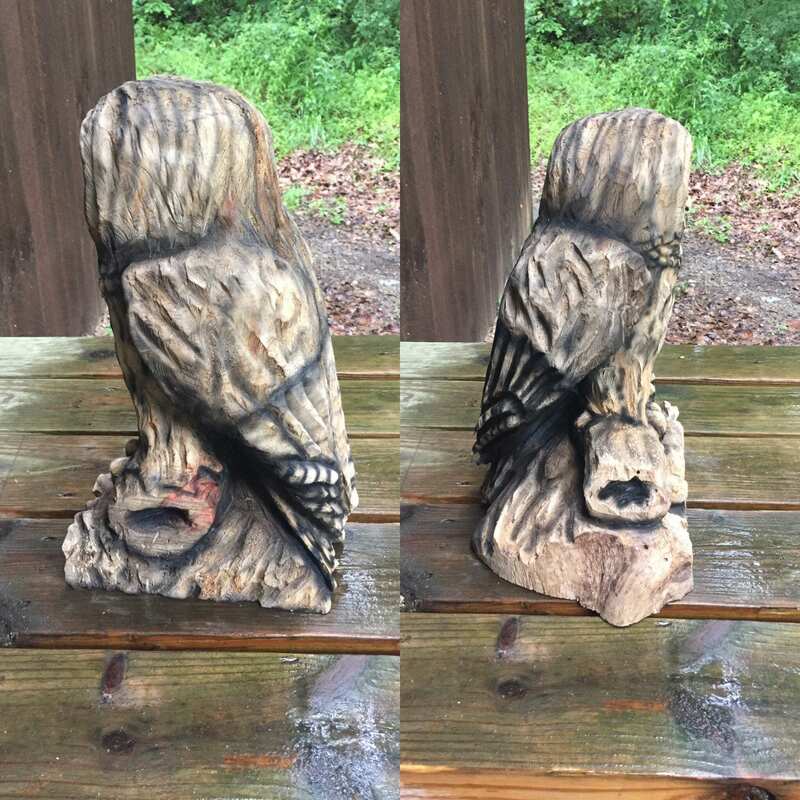 I have chainsaw carvings, walking sticks, wall art, jewelry and lots more. Everything is made by my two hands! If you are curious about a carving in my shop or would like to discuss a commissioned piece, just give me a shout.